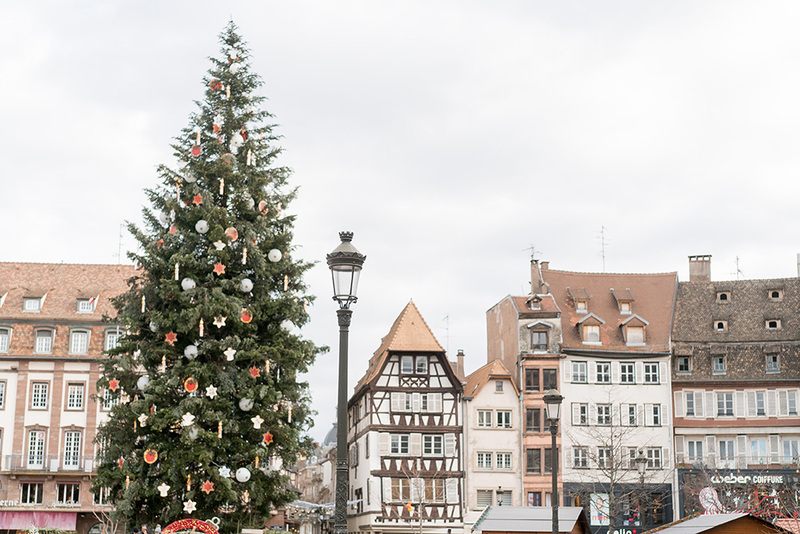 Strasbourg, France is known as the Capital of Christmas, which means it was promptly added to my wish list of holiday travels when we first moved to Paris. We had the opportunity to visit last December and it was an incredible trip! 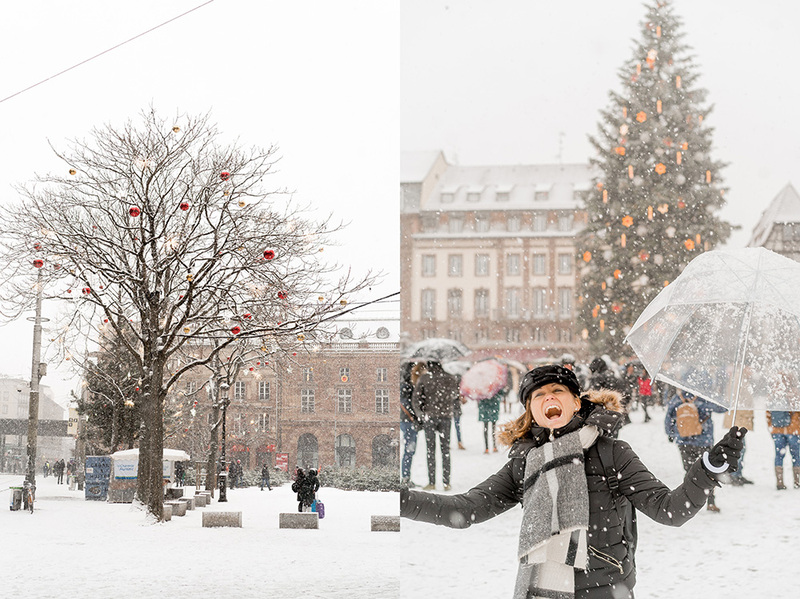 The best part of our first trip to Strasbourg and the Alsace Region was that when we arrived it was SNOWING!!! It was snowing so much, so heavy, pouring snow from the sky! It was such a wet snow too that I literally used the umbrella for a little while. Having moved from New Orleans to France, we still get really excited about snow (see the picture of the crazy lady below, lol). However, initially I did not feel properly prepared for the cold temperatures when we arrived. Luckily, there is a Uniqlo on the main stretch and I went and bought their heat tech thermals and some really warm socks. This helped me to enjoy walking around with more comfort the next few days, so if you find yourself in a similar situation, I highly recommend visiting the store. One of my favorite events we stumbled upon near the Strasbourg Cathedral was the live nativity scene. It was children playing the roles of the traditional characters. We found it by following the Christmas music we could hear while we were in the square. It was quite a treat! Between walking around and taking in all of the sights and lights we’d pop into a restaurant for food or drinks to warm up a bit. One of our favorite, nicer dining experiences was at Le Bistrot des Copains. The food was great and the service was on par as well. We also enjoyed plenty of vin chaud out at the markets. Don’t miss out on the raclette sandwiches too. And one of my favorite treats is the boules de noel. These are almost bell shaped, chocolate covered marshmallows. There are a gazillion flavors to choose from, and trust me when I say they are all fantastic! We even took some home with us as I believe their shelf life was at least two weeks — best to ask again though. It could be a great souvenir to take home to someone if you’re traveling straight home from Strasbourg. 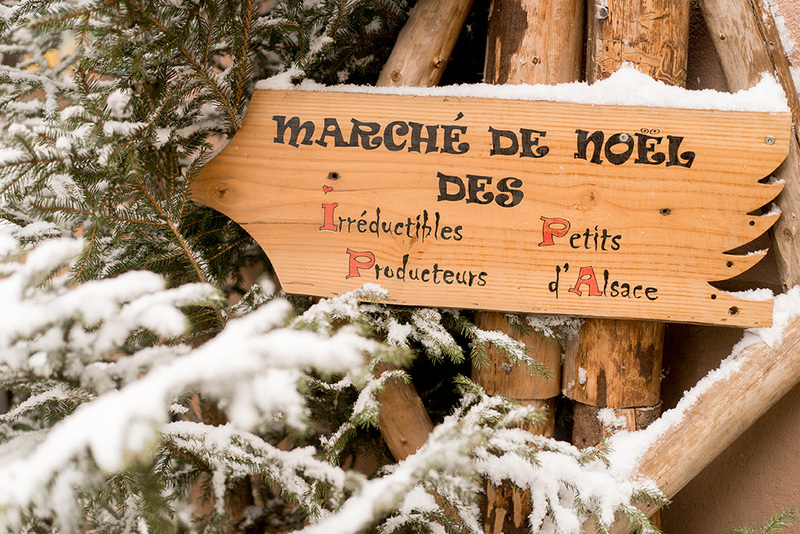 You’ll also find plenty of gift ideas amongst the stalls, many of the items created by local artisans. A Strasbourg Christmas ornament is pretty much a must to help commemorate your trip. I realize I’ve only scratched the surface here, but hopefully this is enough to get you excited about your trip, and point you in the right direction. This year we’ll be heading to Colmar, and I’m already making it a point to take notes as we go along so that I can share more details of what and where we ate, any special events, and any fun gifts that we find. 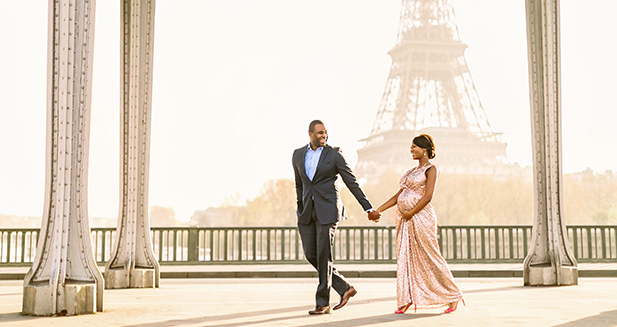 If you find yourself passing through Paris and want a photo session while you’re in the city please let us know! Enjoy creating lasting memories this holiday season!